The Irish are certainly never at a loss for words and have no shortage of sayings and proverbs that are apt, colorful, and often spot-on with regards to how one should proceed through life (visit this website for more Irish sayings and proverbs). 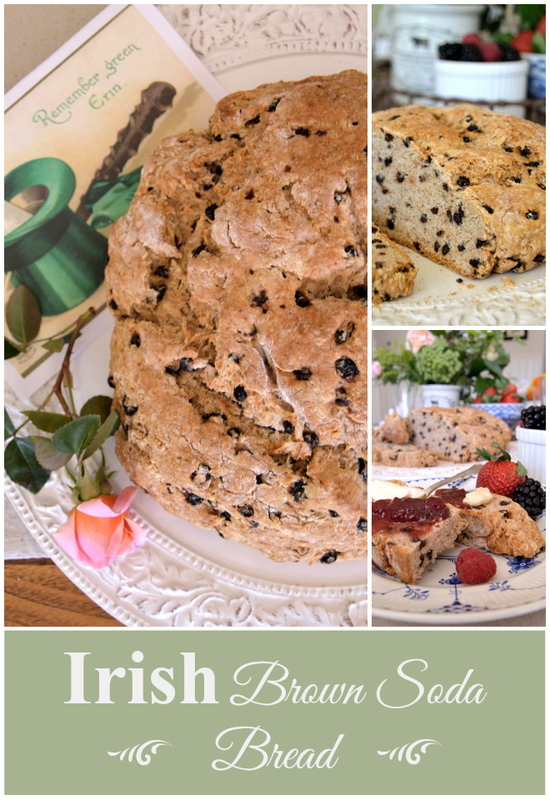 With my mom visiting, and since we are both part Irish, I thought I would celebrate St. Patrick's Day by making brown soda bread for breakfast this weekend. I love this recipe, which I adapted from a recipe in an old Crabtree & Evyline cookbook, and certainly don't limit myself to only making it around St. Patrick's Day. ......yet inside, its got a soft, crumbly, almost biscuit-like texture. This is especially delicious toasted (I like the slices cut extra thick), with lots of butter and good jam. If you are a peanut butter fiend like me, this bread makes an excellent lunch or dinner-time meal, toasted and spread with peanut butter (and butter, good bread must always have a generous lick of butter). No peanut butter shown here; it doesn't look as pretty with my blue and white plates as the strawberry jam does. .......and currents to give it a little fruity zing. You mix it all together and use your hands to form the dough into an informal round. Cut a little cross in the top with a knife, put it on a no-stick cookie sheet, bake it for an hour, and then out it comes, yummy and ready to be eaten. You can eat it hot right out of the oven or keep it (wrapped in plastic) for a few days and eat it either cold or toasted. Leaving you with one more bit of Irish philosophy from one of my favorite playwrights. *Note: St. Patrick's Day graphic courtesy of The Graphics Fairy. Oh this looks good! 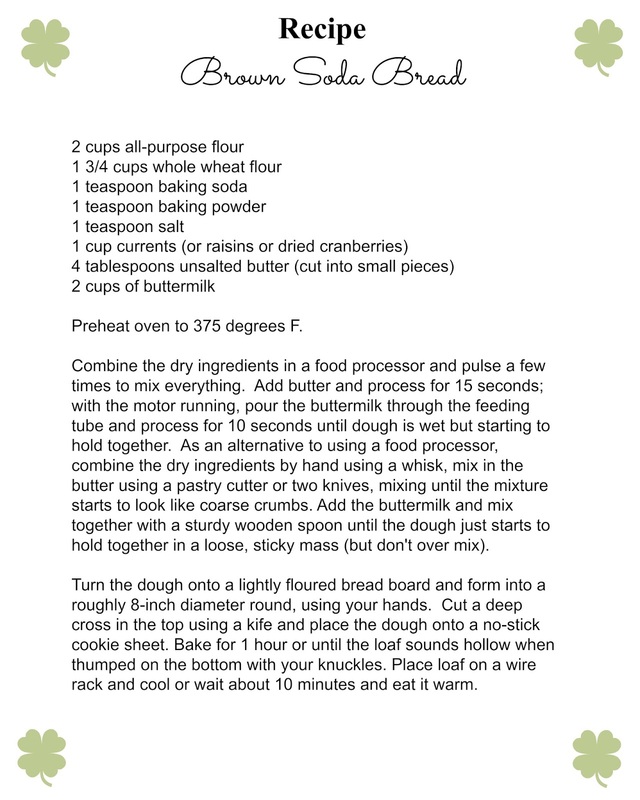 I have a soda bread recipe that I haven't made in ages! Love that stuff, especially toasted. I might have to whip up a loaf today. Thank you for sharing it at What We Accomplished Wednesdays. Have a great weekend! Yes, this bread makes the best toast. I didn't mention it in my post, but it also makes fantastic cinnamon toast. Thanks for stopping by!